Marwa was nominated and selected for the January, 2018 DCCS Member of the Month - congratulations Marwa! Read more about her here. 1. Tell us a little bit about yourself? Where are you from? Your childhood and current occupation. I was fortunate to grow up knowing the significance of openly exposing one’s self to several, different cultures and religions. I am both Egyptian and American, and lived most of my life between Egypt, London and the US. Similarly, my career, as a News Anchor, took me to different places and introduced me to a wide variety of people.... I never thought of my work as merely conducting TV interviews, but more like having constructive conversations with all sorts of people from all walks of life: Presidents, Government officials, actors, Noble Prize winners, vendors, war survivors, refugees, even criminals. I learned valuable lessons from everyone I interviewed..... that there is beauty in each one of us waiting to be pointed out , that we all are incomplete, have insecurities, venerable, and we need each other to survive and become better. But, I also knew that becoming better, surrounded by others is not enough if it all does not start from within. 2. When did you start running and what was your motivation? I started running 12 years ago to discover who I really was to improve myself, and to deal with my mother’s fatal sickness... I was lost, scared, and felt a complete failure to deal with my emotions and incapable of helping out the closest person to my heart, who loved me unconditionally. After everything else failed, my distances were my healing therapy.... within every mile, a pound of weight was lifted off my chest and anger dropped off. Soon, the two miles became 4, then 8, 10... etc. My solo runs transformed to social runs where I met great people! 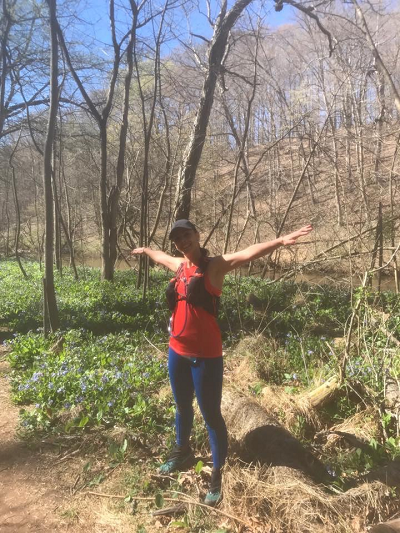 I started as a road runner for nine years, then decided to meet Mother Nature through my runs, i.e. trail running. 3. When did you start running with DC Capital Striders? Any favorite weekly runs you enjoy? 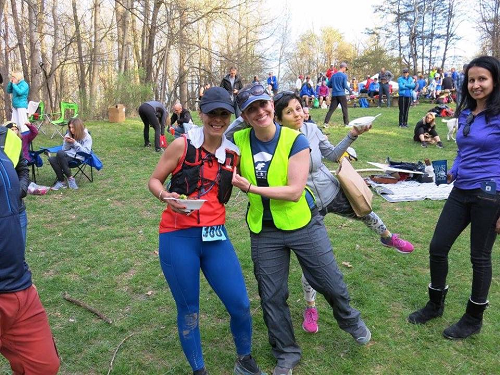 I started trail-running with DCCS’s "WolfPack" three years ago, and that was one of the best things that happened to me. I met amazing people and formed a solid bond with the group. I knew then the meaning of having a second family, while living away from home! The WolfPackers are a bunch of crazy runners who give one another unconditionally, with nothing more to hold back. The support, encouragement, and kindness within that group cannot be described accurately by words, you have to come and run with them to know what I am talking about... My Wednesday’s became sacred dates; where I dress up to run with the group, as if I am going out with a real date.... Lots of inspiration, power, and strength lies within the WolfPack. They are not just resilient runners who look out for each other, but some are professional coaches too, so you get excellent advice and help when needed! 4. Any favorite distances for racing? You have dabbled in the ultra running scene. Tell us more about your goals and inspiration. With the support of my running family my several 50K's became 50 miles. And, I know with them, my 50 miles will become 100 milers. Their good vibes, support and laughs make everything possible. Way possible. That is why we should choose our tribes carefully.